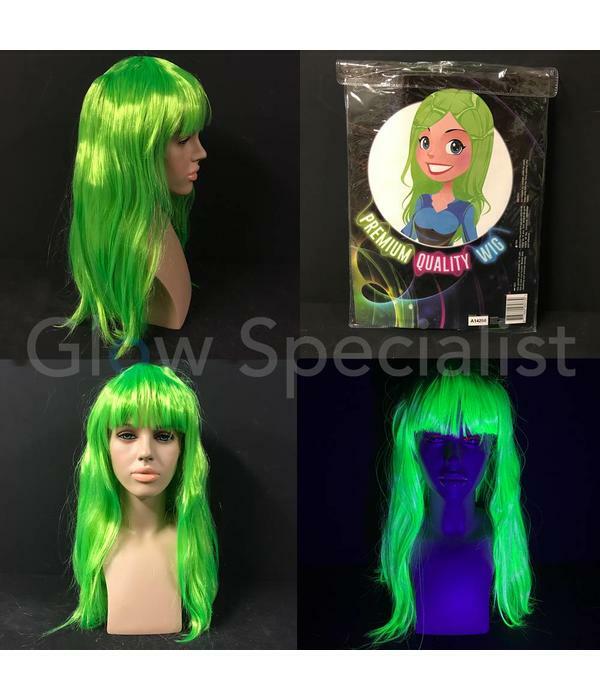 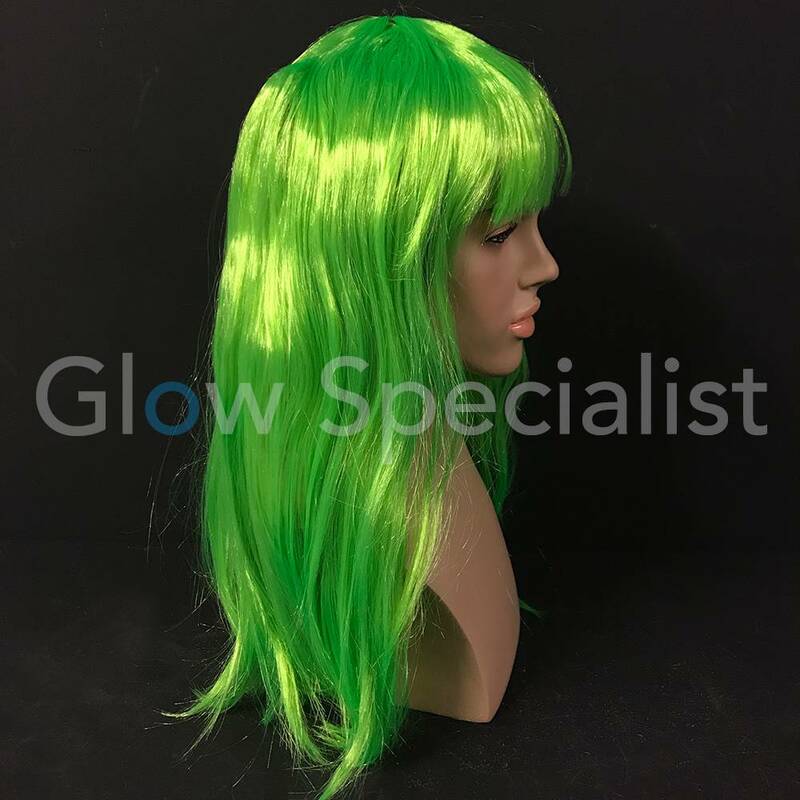 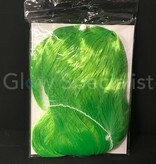 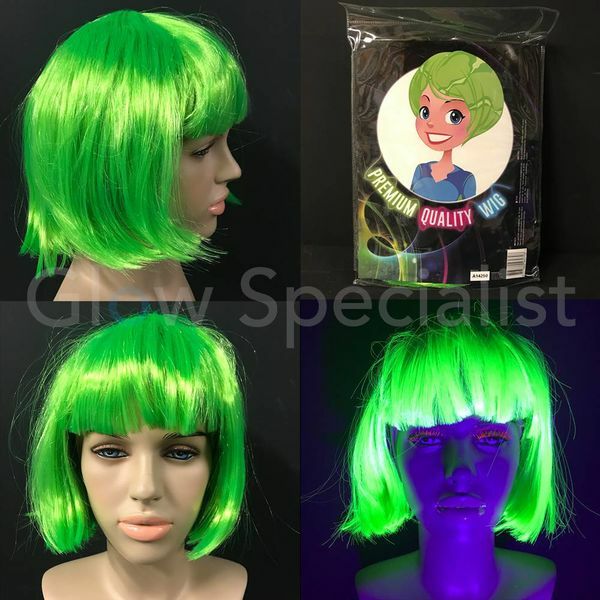 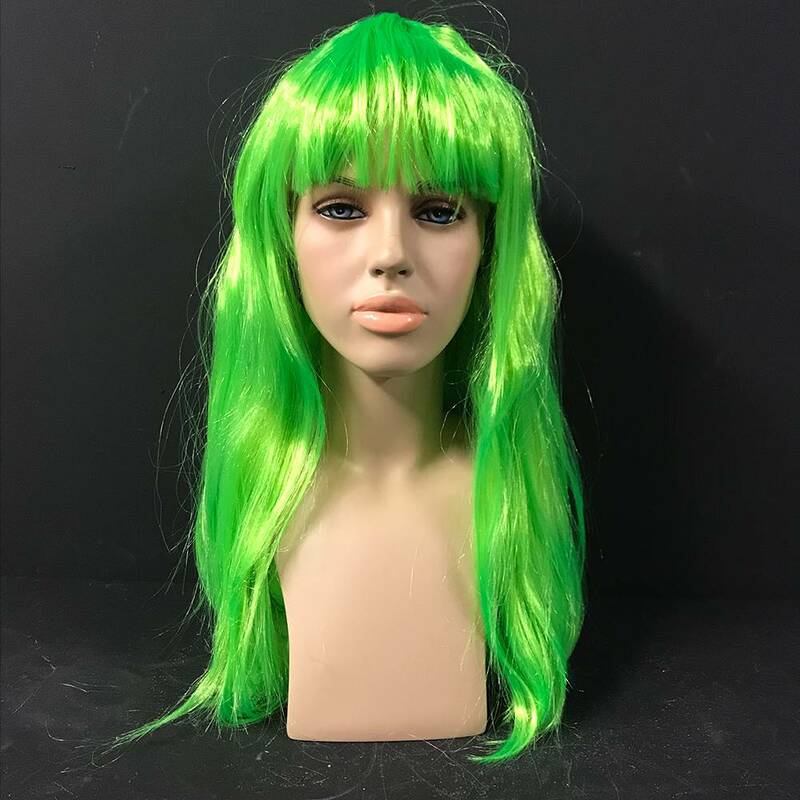 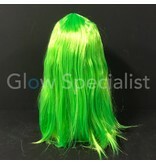 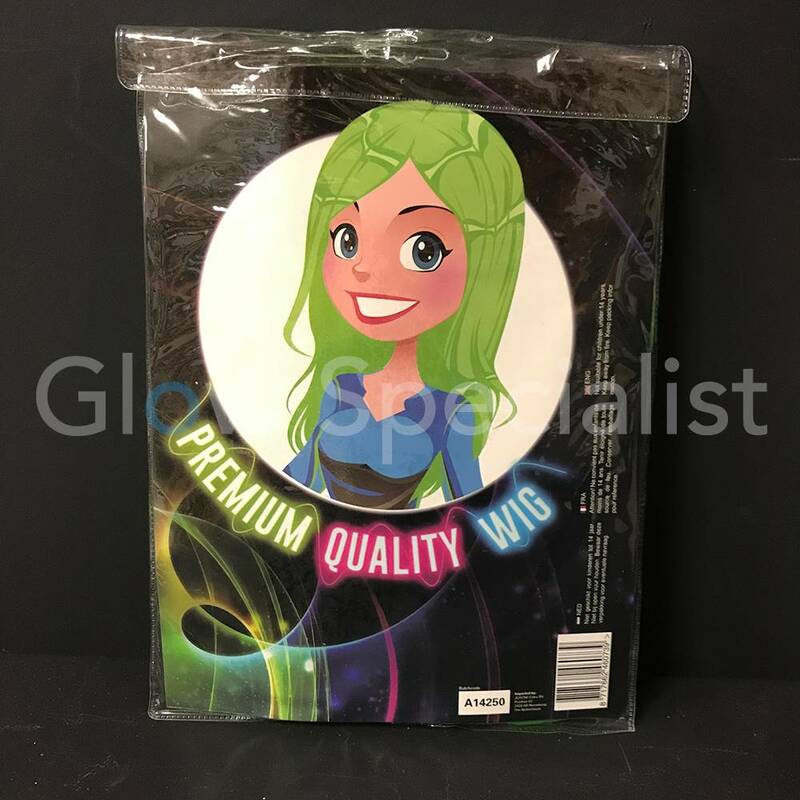 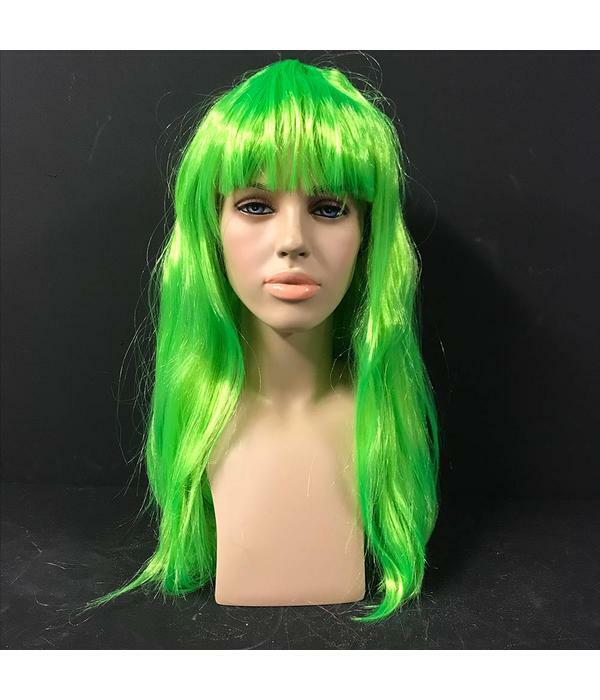 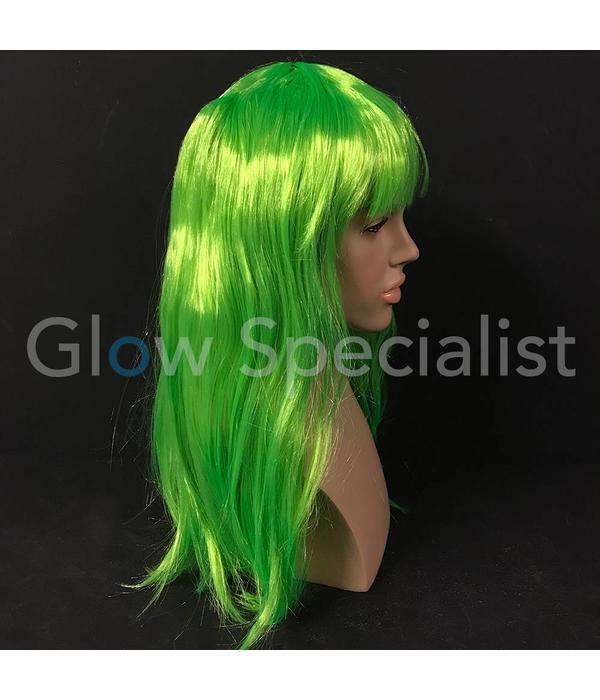 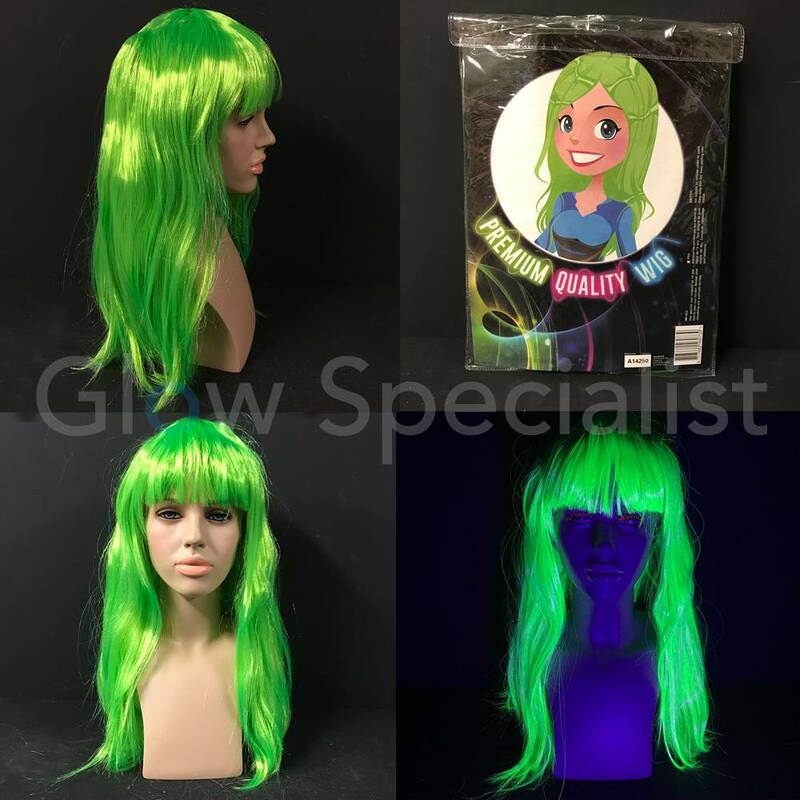 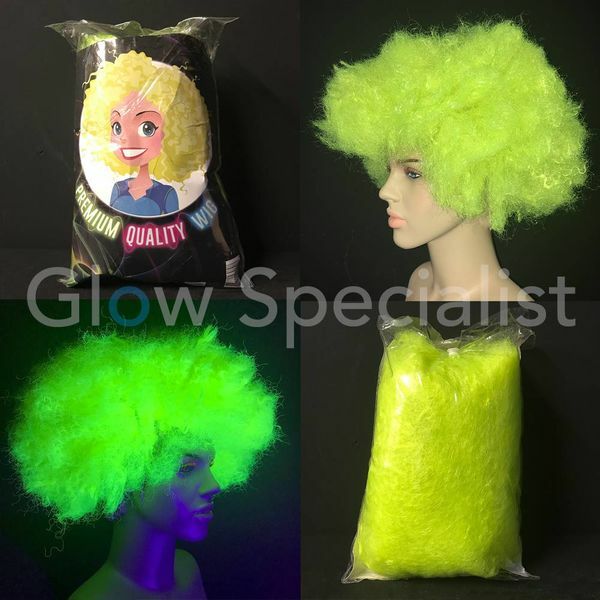 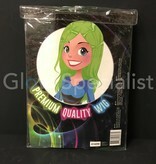 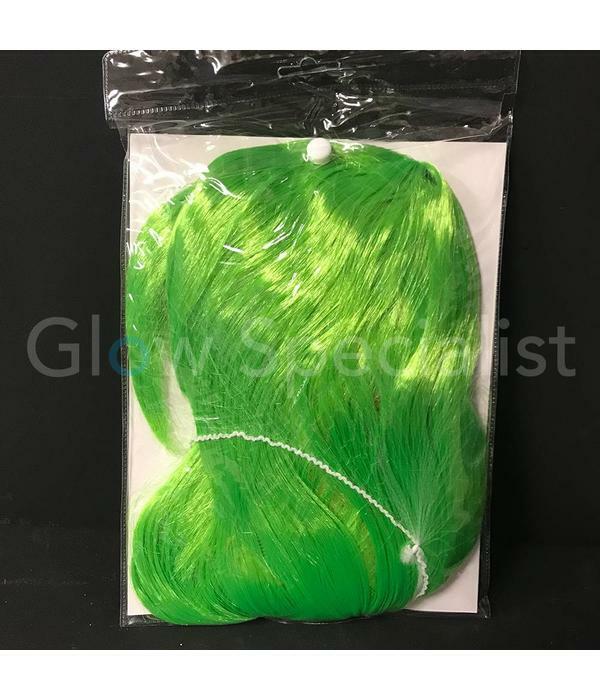 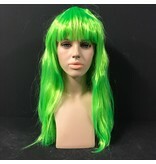 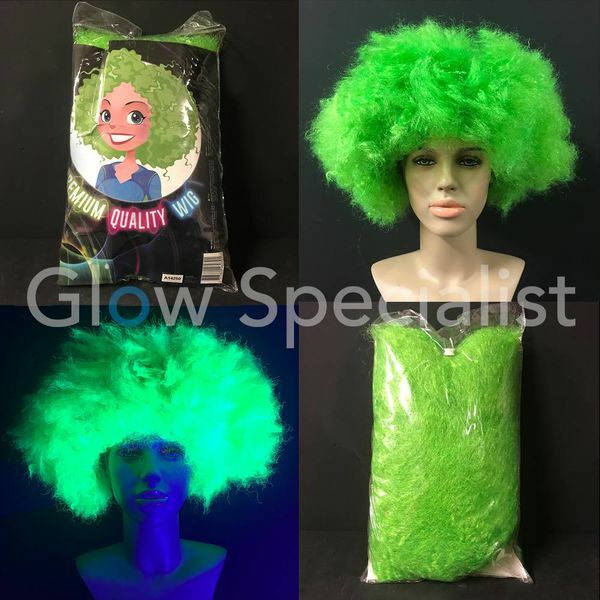 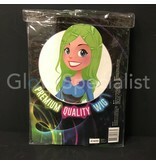 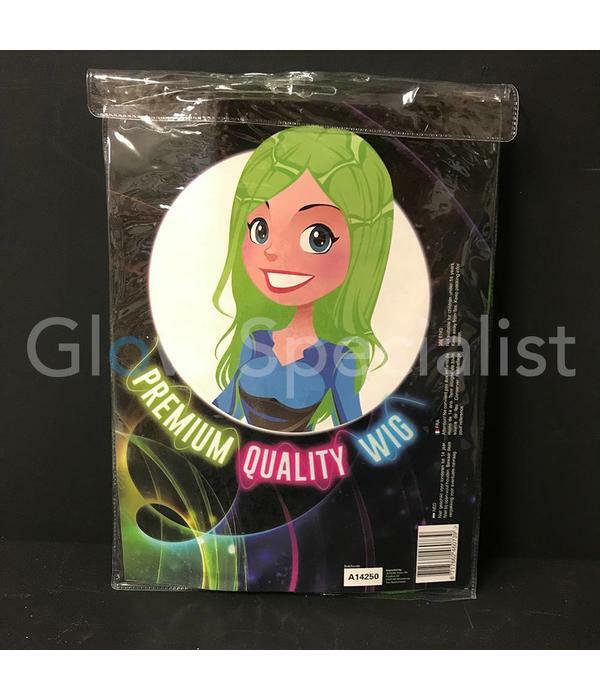 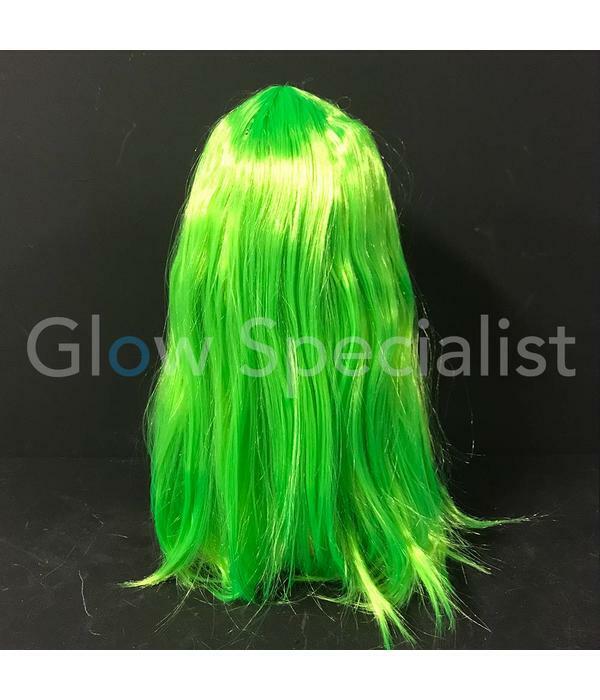 Complete your party outfit with this Lady Gaga look-a-like green wig. 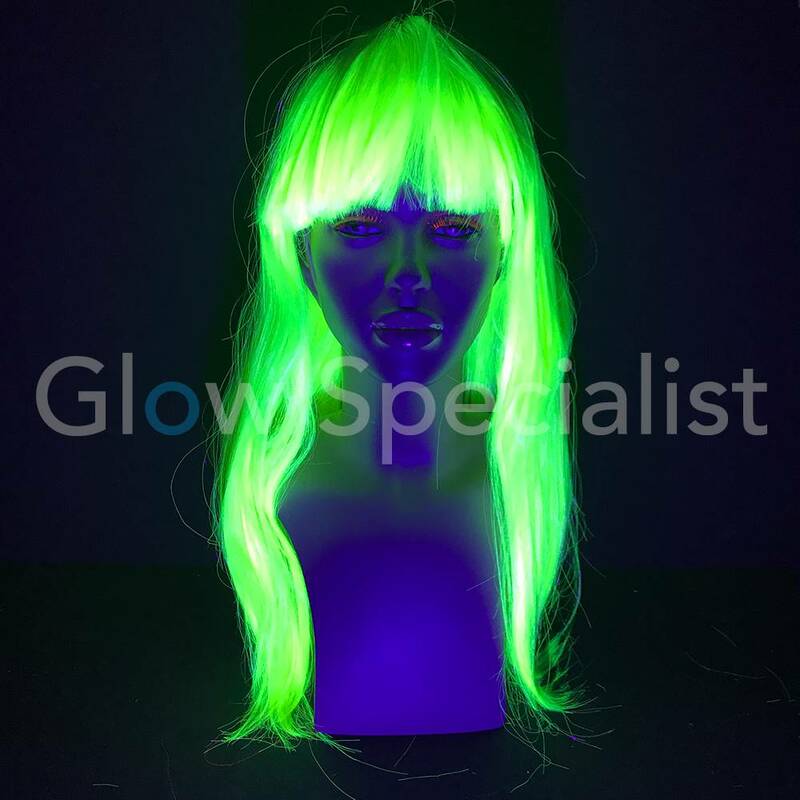 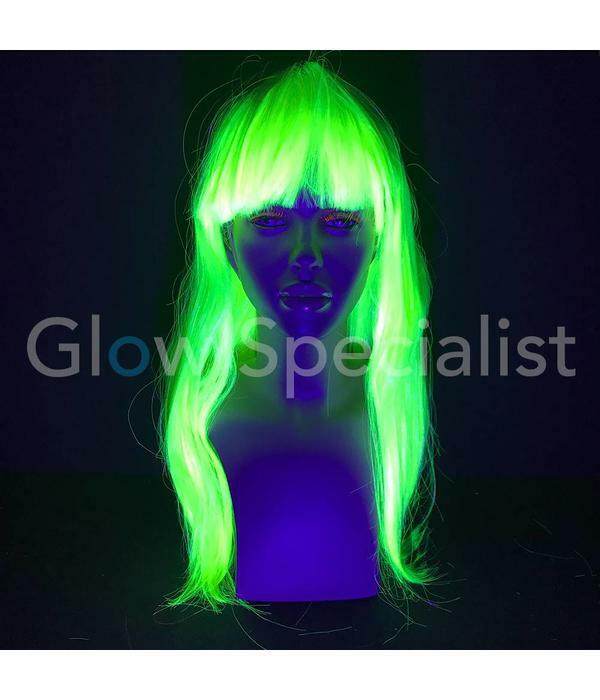 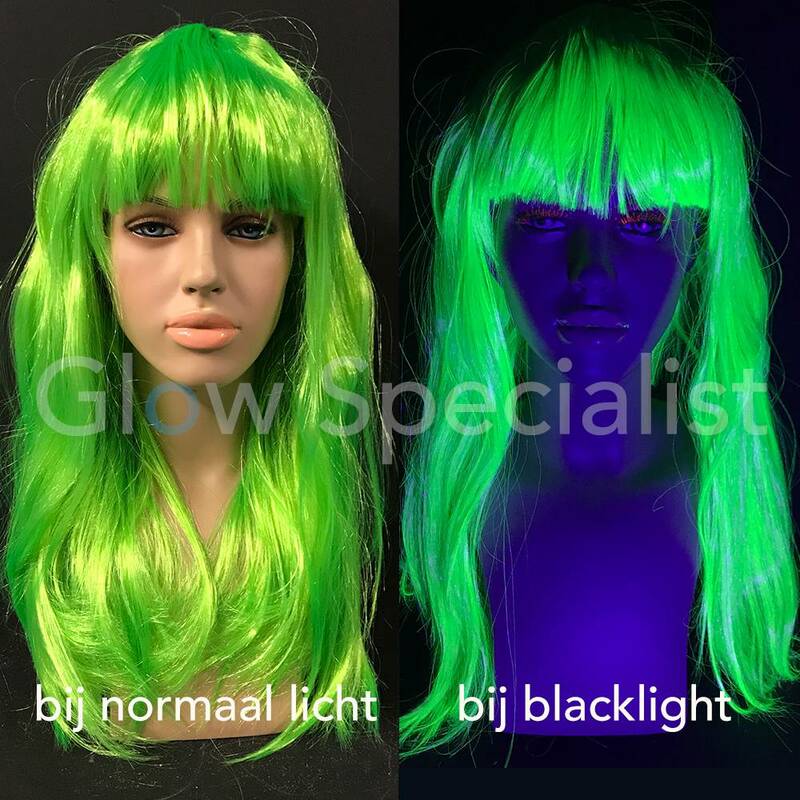 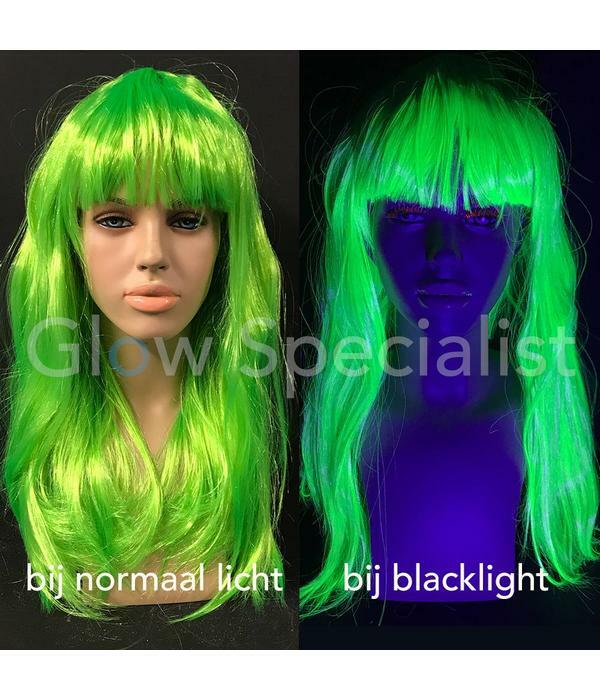 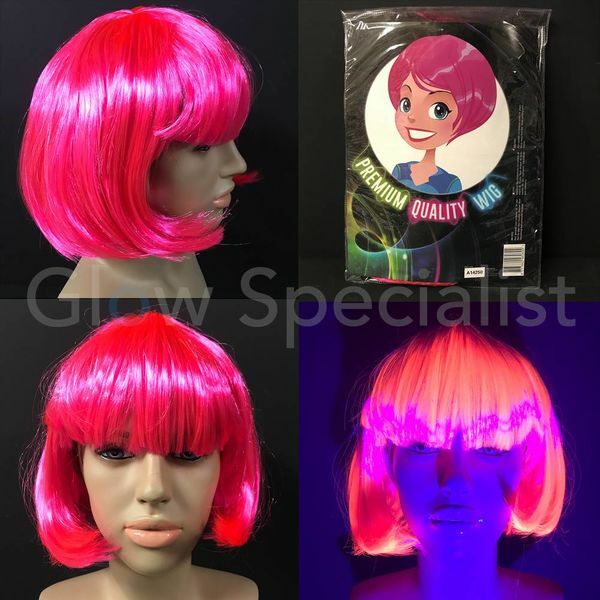 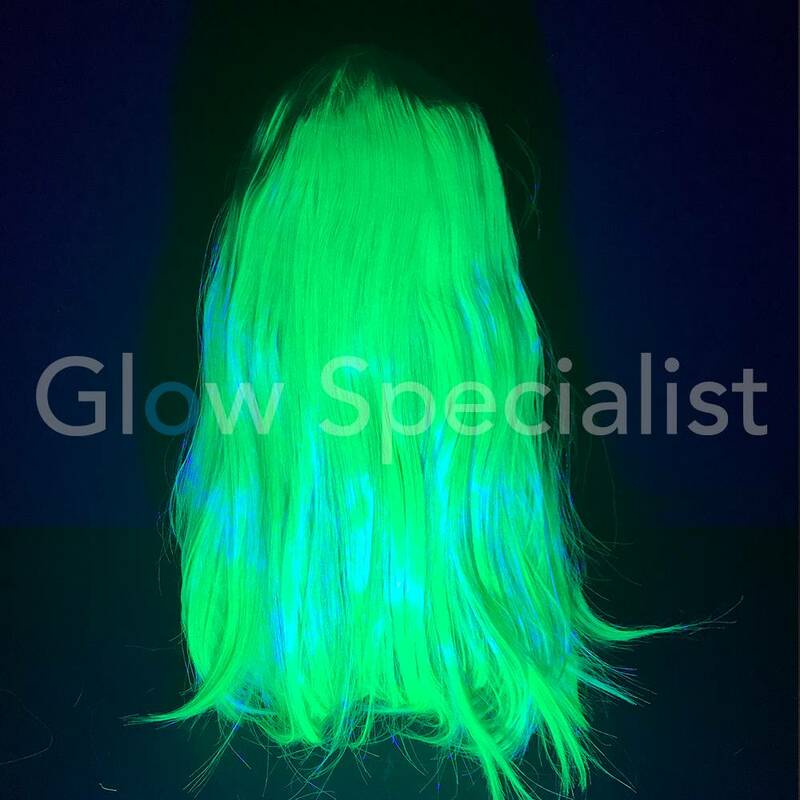 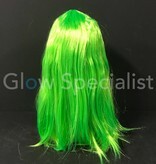 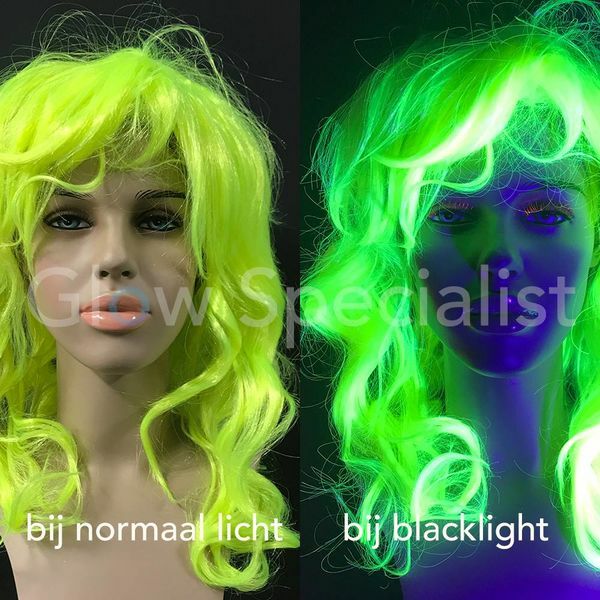 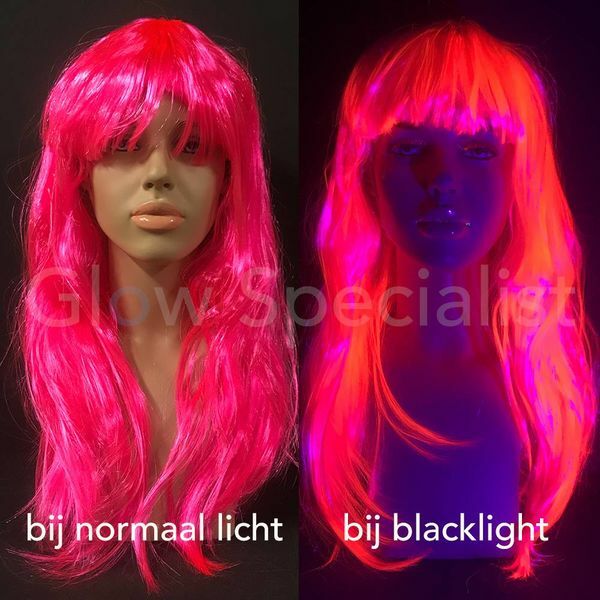 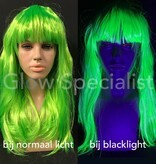 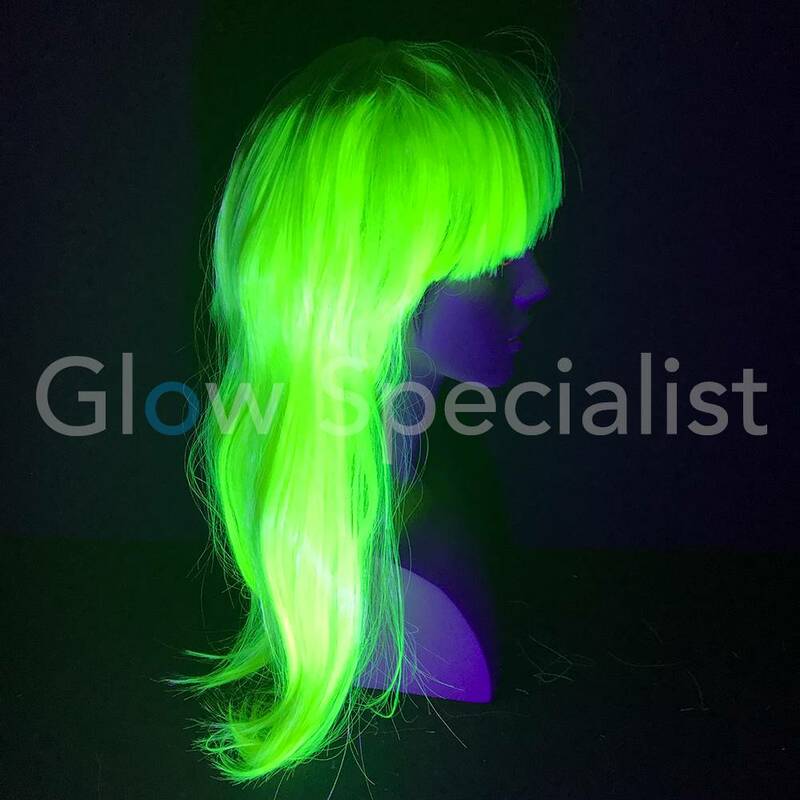 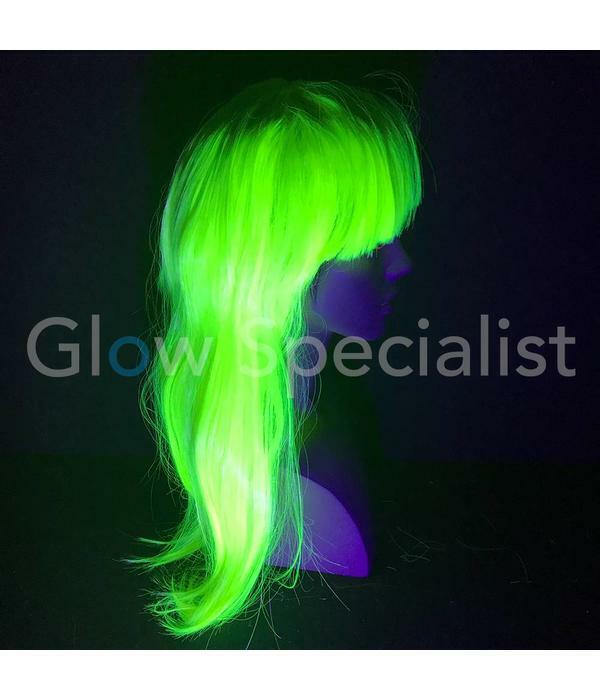 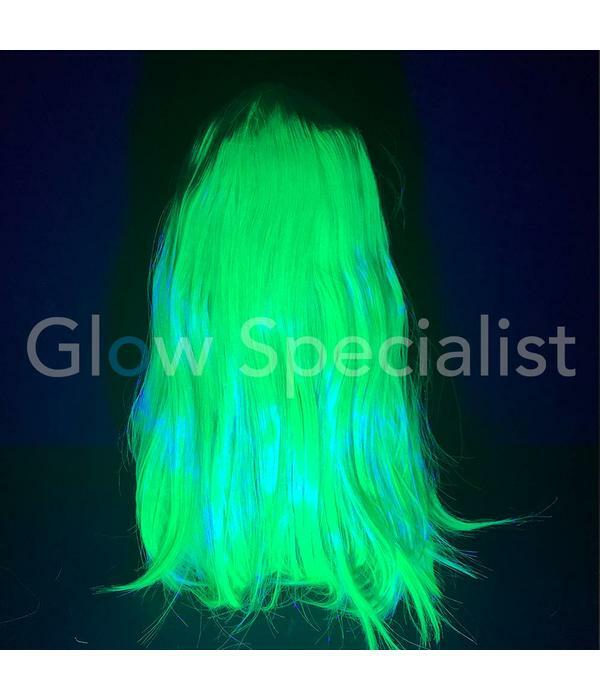 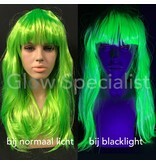 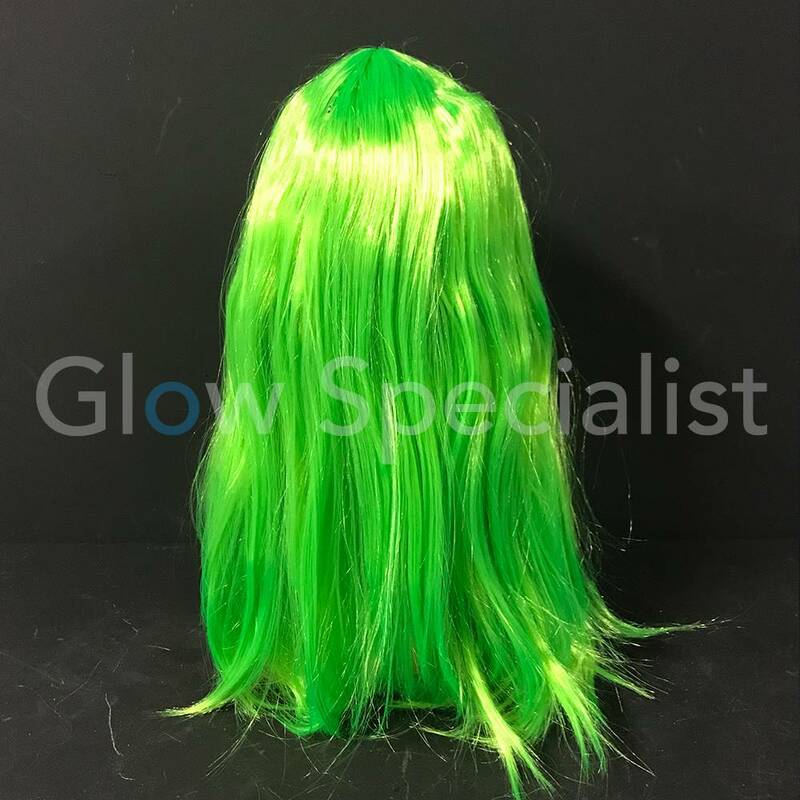 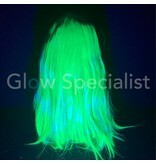 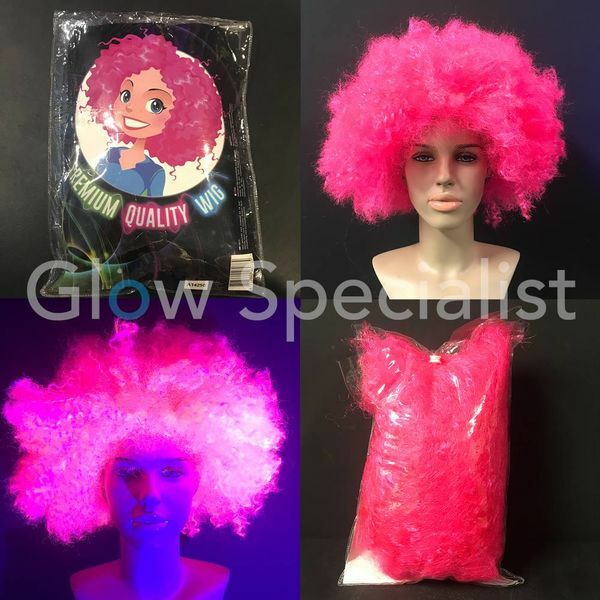 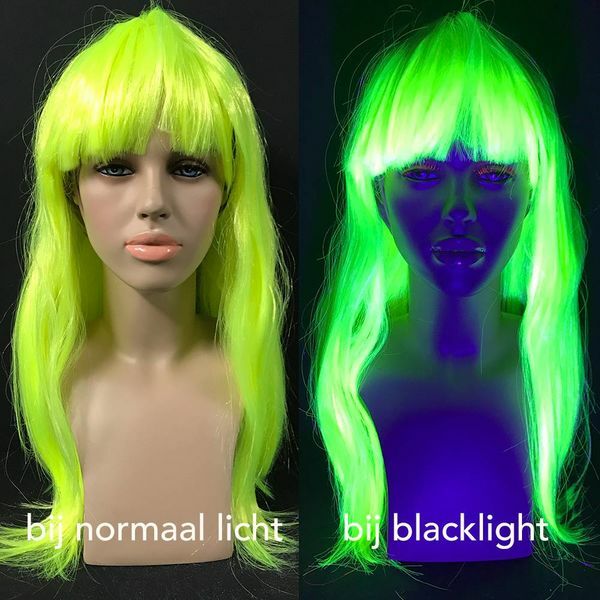 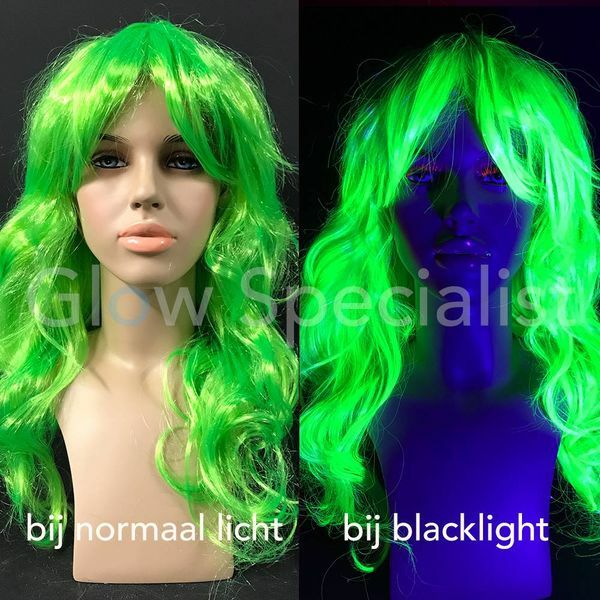 The wig has a long cut with bangs and is fluorescent in blacklight. 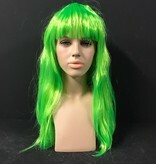 One size, 60 cm long with bangs. For theme parties, carnival, glow parties etc.